I love receiving little gifts. (Who doesn’t?) I love the feeling that someone thought enough of me to give me something. Sunday was one of those moments. I sat down in church, (a little late from a line at the restroom), and someone leaned over to me to tell me that there was a bag in the foyer with my name on it. I was surprised because I wasn’t expecting anything. And when the service was over, and I made my decent out of the sanctuary, I found the bag on the table. Naturally I had to open it immediately. Inside was quite possibly the best t-shirt I’ve ever seen, and so perfect for me! 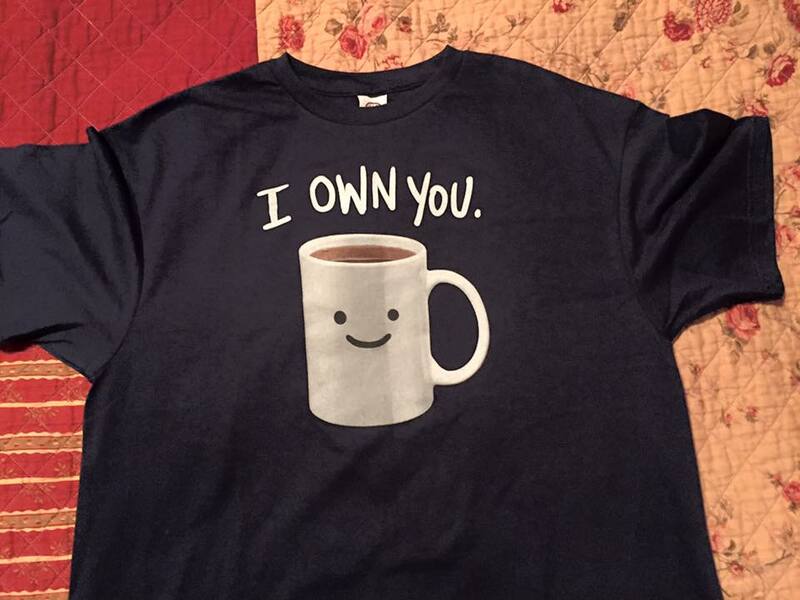 It was a picture of a cup of coffee with the words “I Own You” above it. I laughed, showed it to a few friends also in the foyer and tried to figure out who it was from. (I’m still trying to figure that out, as they signed it with an alias.) I showed it to my husband when I got home, who agreed it was perfect for me. But, shouldn’t that be Jesus? Shouldn’t the first thing I think about; the thing that gets me most motivated to crawl out of bed in the morning be Jesus? 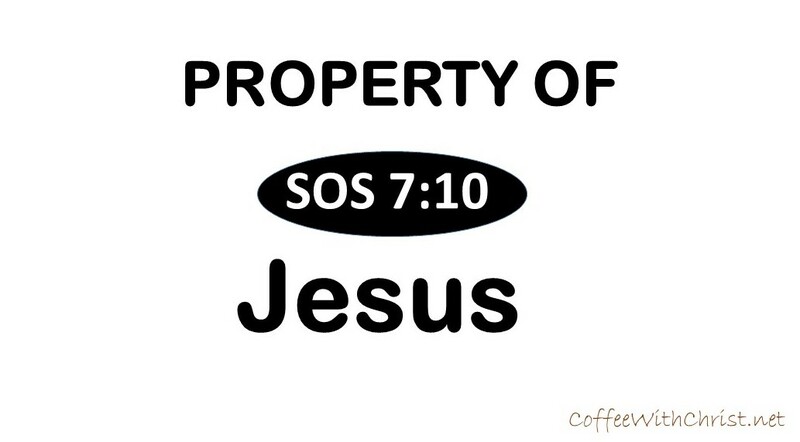 When people think of me, shouldn’t they immediately think of my love for Jesus, not coffee? I’ve been doing a different kind of study than I typically do. Or at least I’m getting a different kind of result. I study my Bible almost daily. (I refer to it daily, but some days I just don’t dive into it as an actual study, I only read…) When I actually study it, the Word speaks to me in different ways. Most often, literally. Sometimes, figuratively. And sometimes, not at all. Those times frustrate me, but make me realize that I am completely missing a point; and more often than not; an important point. (Read the Parable of the Four Soils in Matthew 13- we have to have ‘ears to hear’…) This is when my studying digs much deeper. And this is when I draw closer to Jesus. The gist of the Four Soils is that people who listen and want to really know Scripture understand what is written. The four types of soils represent different responses to God’s message. People respond differently because they are in different states of willingness. Those that want to continue to live their lives, don’t hear it and subsequently don’t really believe it. (Matthew 13:13) If you are truly seeking His Word, then you will understand what It says. 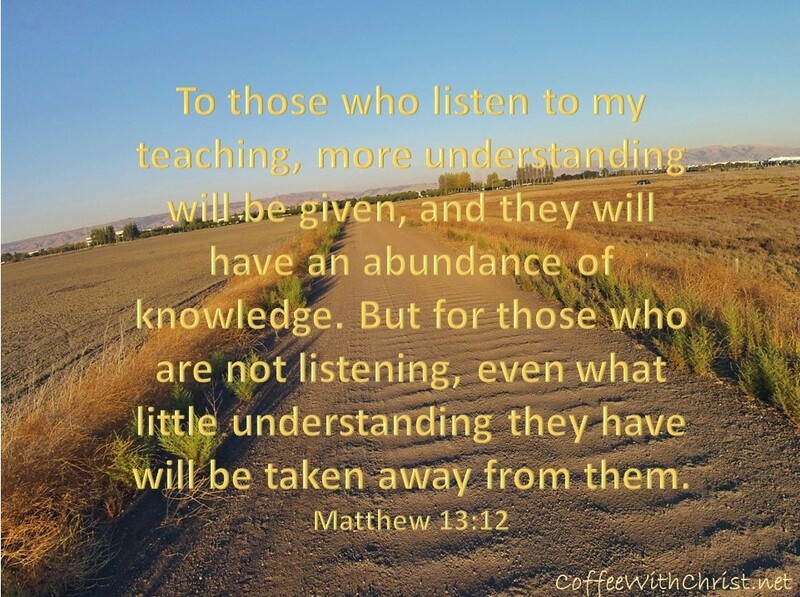 (Matthew 13:12) But besides our understanding, we are responsible to use the knowledge we are given through it. When we stay in His Word, we not only can help others understand, but as pointed out earlier, help ourselves understand our beliefs. To have this understanding will be the only true defense of false teachings. It’s so easy to want to believe the easy way; the bountiful blessings, the peace, the easy life. But we know that that is not how this life will be while we are on this earth; (John 16:33); therefore we need to be prepared. I’m not asking you to take sides on a heated subject or headline. What I’m asking is that you stop and think about them first before speaking. When Christians make the front page over controversial topics, we need to be ready to defend our faith; if needed. What I mean is: we need to know why we believe what we believe. 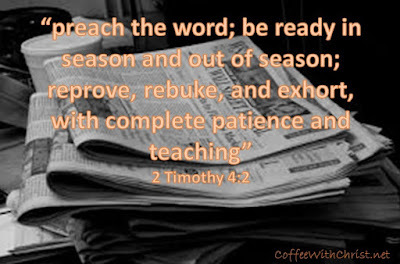 (2 Timothy 4:2) And be ready to explain it. And also know when to keep it to ourselves. Regardless of which side you’re on when it comes to the debate in Kentucky, the baking battles, or the famous family facing backlash, remember that they are Christians; just like you; imperfect, in desperate need of prayer and God’s continued Grace. They are constantly criticized for their actions. Non-Christians are hovering waiting for us Christians to screw up and pounce the second we do, assuming that proves our Jesus doesn’t exist. But we Christians know better. We know that we will have problems in this world (John 16:33), we can’t escape them because of our human nature and imperfections; but they don’t understand it. Therefore, you can’t blame them for the verbal attacks when we mess up. But us? We should know better. Christians attacking other Christians are more to blame for the continued hatred on our faith than non-Christians attacks. If we can't love each other, (1 John 4:19-21) and accept that we each only account for our actions to Christ Himself, then we don't understand Jesus' Love and have no chance at loving others. 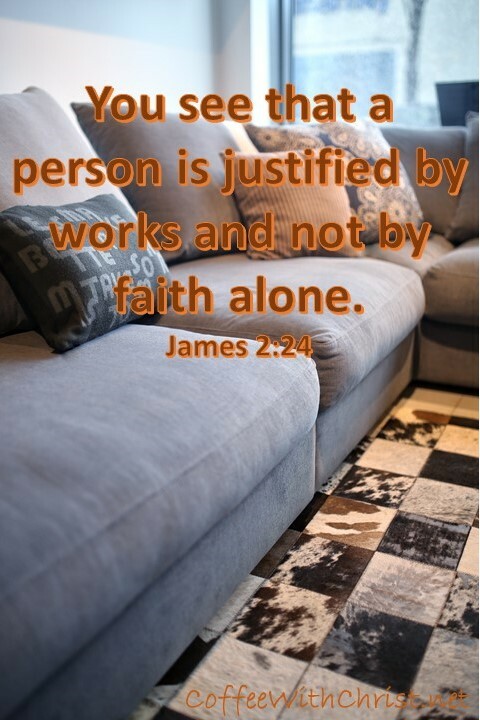 (John 13:34) We need to quit attacking each other, and quit defending our faith for others actions. Live your life to please God, and the heck with everyone else- Christian and non- this competition with each other and this hatred is a disgrace to His salvation, mercy and grace. We clearly don't understand Whom we represent and are to honor. All we're doing is proving to others that we truly DON'T have His love in our hearts.